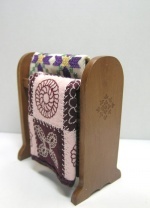 Lovely quilt stand to display your finest quilts. Laser cut kit includes all pieces. 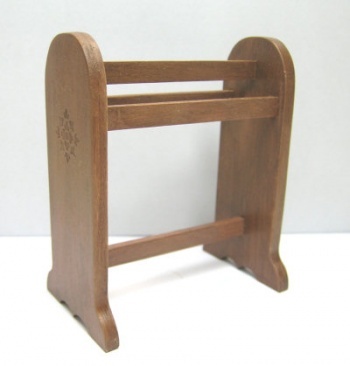 Stand is 3 1/2" tall, and hanging slats are included 3 1/2" long, but can be trimmed down in length to custom fit any quilt you wish to display. Delicate design etched in end pieces. Easy to assemble and finish. Requires sandpaper, paint or stain and glue.